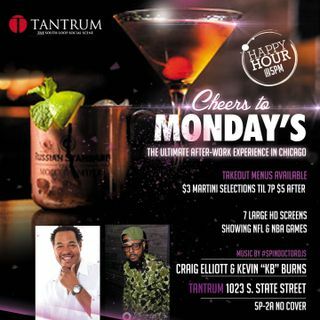 Click the link to listen and get ready for Monday Funday @ Tantrum 1023 S. State 5p-2a CHEERS! I do appreciate you all joining me and the music today. Hope to see you Ghouls and Gals later @ Tantrum. DG! Nina - I missed you too. I had another event to go to.... if it wasn't with the fam, I would've stayed. You'll see me this weekend though... Me and Mason's turn!